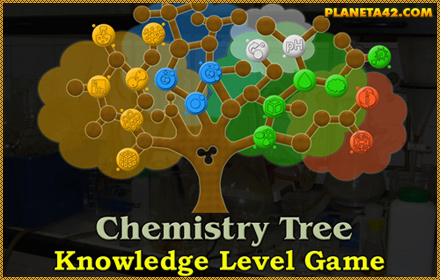 Education Game News - Chemistry Topics Tree. P42 Release date 08.12.2016 year. On focus a new Planeta 42 free knowledge level game from the Interactive Chemistry Laboratory, about some basic topics from the chemistry science. "Chemistry Topics Tree" is a small mosaic game to fit the chemical subjects in the tree of knowledge by matching the colors.